(Los Angeles, CA--)Internationally acclaimed Singer, Songwriter, and Producer Sharon Marie Cline isbringing herCLOSE TO YOU: SHARON MARIE CLINE BIRTHDAY CONCERTto plush VibratoGrill Jazz on March 26, 2019. And she’s bringing thenotorious BBJ with her! Though the Southland has been experiencing a cold,rainy winter,sultry songbird Sharon Marie Cline intends toheat thingsup a bitas she presents her soulfully infused, springtime lovecompilationofJazz songs. In a one night, two-show performance,the divine Ms. Clineteamsup once again withher Bad Boyz of JazzRichard Eames, Music Director and pianist, Adrian Rosen on bass, and Jon Stuart on drums. 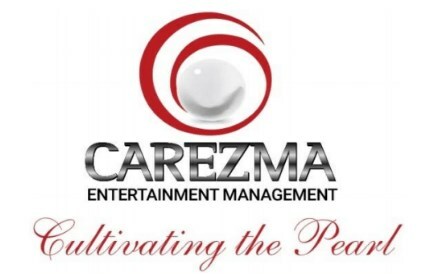 The show is hosted byCarezma Entertainment. Cline and the BBJhave collaborated on many projects inrecent years. Mike Parlett, a talented saxophonist, flutist, and percussionist, steps in asan honorary member of the BBJband thisnight,lending hismany talents.Cline and her notorious Bad Boyz of Jazz willdebut new musicand perform some old favorites. Vibrato Grill Jazz is one of the most sought after venues in Southern California.Owned by music great Herb Alpert, located in Bel Air, California, Vibratohas 2hosted suchmusic greats as Stevie Wonder, Tom Jones, Gene Simmons, and many others. Vibrato also boasts great food and warm ambience. Cline feels Vibratoisa wonderful place and opportunity to celebrate spring, music, pure joyful love, and her birthday. She adds, “This year is devoted to living and expressing through myjoy-all the creativity and experiences that thisbrings-and sharing this all (fearlessly)with myaudiences.”Cline navigates her life and her music with her heart. Shelaughingly confesses to being a juicer, loving playing slot machines, and lovingsparkly things and all things that are heart shaped. Excited abouther upcomingconcert, Clineis also focused on working on a new album which she hopes torelease later this year.Working with producer RichardL.Turner,Jr.,Cline promises original materialand lots of d’arrangements,a techniqueCline and pianist Richard Eames have perfected taking classic songs, deconstructing them, and thenre-creatingthem into fresh, new artistic expressions of love. Cline’s latest CD single release and same named video, “Close to You”,one of her more popular, d’arrangements, continues ridingat the top of Reverb Nation chart. Known for her smoky vocals and elegantlydistinctive song styling,Sharon Marie Cline will undoubtedlyleavequitean impression as she stakes her claim in the musical legacy of VibratoGrill Jazz. TheCLOSE TO YOU: SHARON MARIE CLINE BIRTHDAY CONCERTtakes place March 26, 2019at Herb Alpert’s Vibrato Grill Jazz 2930 Beverly Glen Circle Los Angeles, CA90077. SHOWTIMES:7:30 PM AND 9PM. For more information on Soul Jazz Vocalist, Producer, Arranger, and Songwriter Sharon Marie Cline,email Carezma Entertainment Managementat carezma0123@gmail.comor call 310-895-5729. © 2017 Carezma. All Rights Reserved.